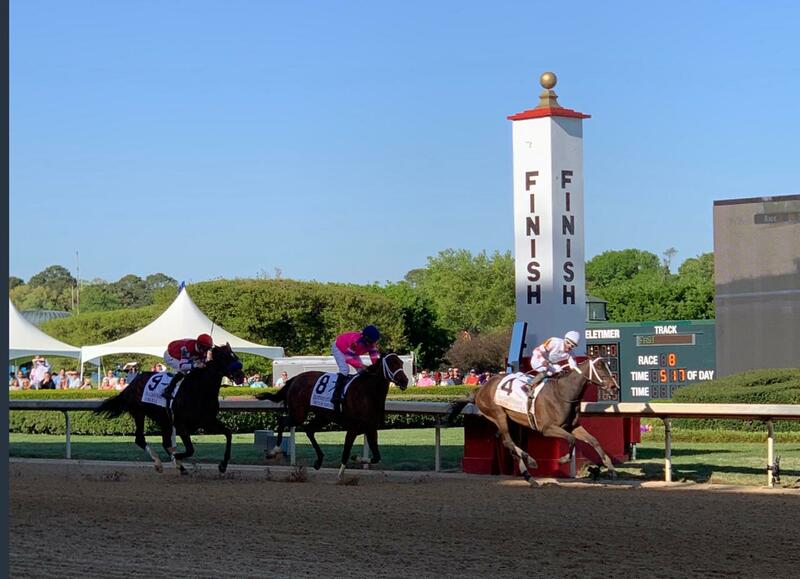 The rapidly improving Lady Apple booked her place in the Kentucky Oaks with victory in the Grade Three Fantasy Stakes at Oaklawn on Friday. 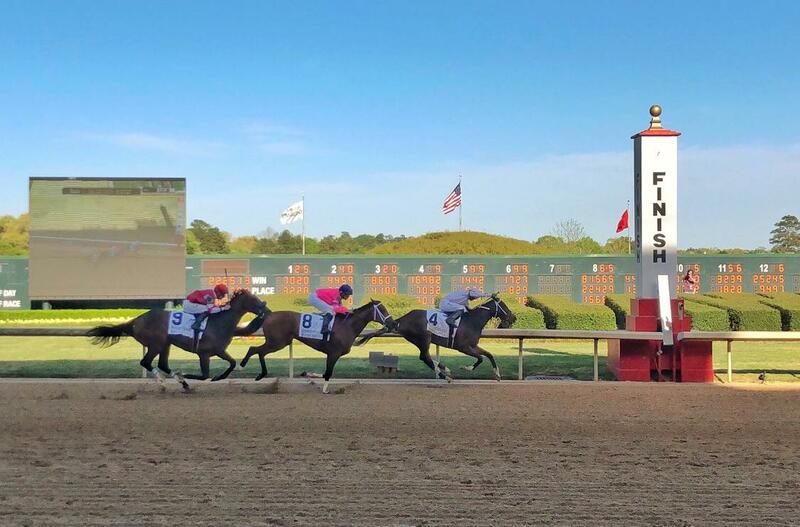 Owned by Phoenix Thoroughbreds and KatieRich Farms the filly was landing a hat-trick of wins having produced taking efforts at the Arkansas track in a maiden and Allowance Optional Claiming races in her two previous starts. Despite this run of form the daughter of Hill N Dale Farms Stallion Curlin was sent off among the outsiders but that didn’t prevent jockey Ricardo Santana Jr from producing a great ride to pick up 100 Kentuck Oaks points. Breaking well from the gates the Steve Asmussen trained runner and her jockey where happy to sit a few lengths off a strong pace as the field headed out over the mile and one-sixteenth trip. It wasn’t until the approached the top turn did the pair make their move travelling well behind the longtime leaders before closing the gap. At the top of the stretch, it looked as though they would have nowhere to go behind a wall of equine flesh but Santana Jr. produced a bit of magic to thread his mount through the eye of a needle up the rail to win going away. He even had time for a cheeky salute to the watching photographers. The way this filly is progressing he may very well have his dreams come true.